Start your Own Business Seminar is back! The event is a fantastic opportunity for internationals who want to set up business in the Netherlands to gather information and get started. It takes place on Thursday, 19 April 2018 in the World Trade Centre The Hague (WTC) and starts at 17:30. 1. Business set up in the Netherlands: general differences between Dutch and other markets. 2. Legal considerations from a personal and business perspective. 3. Reality check – gain insights, tips and financial insights from those who have already set up. 4. 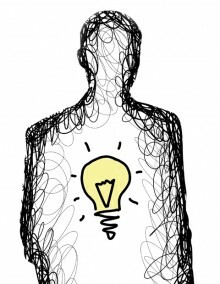 Brainstorm and identify the actions you need to take to move forward. 5. Building your network – Dutch style. Start Your Own Business enables you to learn, ask questions and network with people who have been there and done it as well as those who are on your same path. Interested? Follow up: A follow up conference call with a Q&A session takes place on May 10th at 21:00 for 1 hour. Registration and full payment are required in order to attend this seminar. Attendees also have an opportunity to work for a day at the WTC Business Center, have a follow up consultation with Heffels-Spiegeler Advocaten and participate in TpEBO’s Take the Plunge! Programme. She is head of TpEBO and managing partner of The Dendrite Group, specialises in high performance; leadership and communication. She is an active member of Women’s Business Initiative International (WBII) in The Hague. Her workshop will give you an opportunity to brainstorm your business next steps and give you a reality check on setting up so you are inspired to go for it. She is an NLP trainer and facilitates challenging meetings for clients. She will give attendees guidelines on the legal aspects of setting up a business in the Netherlands at the Starters Seminar. Deborah (winner IWD / WBII Networker of the Year Award) of a Hand in The Hague and Executive Director of ACCESS. She is an experienced expatriate and long term resident of The Hague and knows first-hand the challenge of breaking into new networks and establishing relationships. Furthermore, as a female entrepreneur in a ‘foreign’ land, she has learnt a thing or two about crossing personal as well as professional thresholds and finds purpose in sharing what she has learnt. In this workshop you’ll learn how to find a networking format that best suits YOU, your purpose and yourself. Topics include how to choose your event, how to prepare for success and insights from a long term resident on building your network. Topics include how to choose your event, how to prepare for success and insights from a long term resident on building your network and approaching networking in a foreign country. He works at Webster University and Down 2 Earth Dutch will co-present with Sinead Hewson and give insights on the financial aspects of setting up in the Netherlands. Marcel de Lijster recently started his own business and works with his TOP Fit program (FIT for Teams, Organizations and People) in which he looks at the FIT that organizations and people have with each other. Previously he worked at one of the largest banks in Holland as Manager Control. He has almost 30 years work experience to add to his knowledge of strategic management, organizational behaviour, change management and risk management. She studied Private Law and Art History at the University of Amsterdam. After a broad experience in the art world at auction houses and museums, she started freelancing providing legal advice and working for music companies, the Dutch gallery association and in order to develop her own creative projects. She is now an attorney at the international firm Heffels Spiegeler Advocaten and advises creative and innovative clients on how to protect their IP rights and conclude (international) contracts. Neeltje will be glad to answer all your questions on how to start a company in the Netherlands yourself, and assist you where necessary. She started her own business Feng Shui Design in Feng Shui Interior Design in 2016 she is running successfully in Delft. She is an active member of WBII and WBII Fair Coordinator. Darina Veen graduated in Building Physics and complemented her knowledge of what makes interiors healthy with a certificate in Feng Shui from the Chinese Academy Qing Bai. She gained practical experiences through many years as a project manager and consultant working for different companies, including the dynamic business environment of the World Trade Centre in Amsterdam. Darina will talk briefly about her entrepreneurial journey, her motivation and determination, her moments of fear and hesitations and how to overcome them. She has a favorite sentence to illustrate this: “Just take a step forward and do what makes sense. The path will unfold as you continue to walk”. Since 2011, she has engaged with entrepreneurs, making successful business set up and providing a strategic and administrative support at Optirisk Solutions. She is facilitating the organization of the SYOB events, organizing French-speaking entrepreneur events and sharing his experience with internationals at various platforms and Starters fairs. She will be happy to answer a wide range of your practical questions – on how to set up a business in The Netherlands – during the free networking time. For more insight, click on her visual: Born to be entrepreneur? Would you like to be part of making a difference: we welcome all sponsors! Contact the office for more information. with Special Thanks to our SYOB volunteers. WBII is a community of entrepreneurial women based in The Hague, The Netherlands. Through active collaboration, both online and in-person, members create a professional platform for promotion of our work, as well as a dynamic network for the exchange of knowledge and experience. 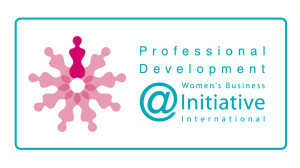 The goal of the WBII is to promote the inclusion of women in the professional world by identifying and removing barriers that prevent their full participation. The WBII aims to facilitate the success of women to create new business ventures, expand small businesses, spark new ideas and collaboration, increase profitability and expand employment opportunities. WTC The Hague Business Center is at the heart of the global business world. Here you can enjoy a professional and attractive business SPOT, business ROOM or business SUITE at an unbeatable price, with flexibility, no long-term contractual obligations and all the necessary facilities at your fingertips starting at €50 per month. The environment is friendly, professional and set up for you to develop your business. Friendly receptionists welcome you and your guests, after which you can proceed directly to your workspace, grab a cup of coffee in one of the common kitchenettes or conduct a meeting in a professionally furnished conference room. A print facility is available for all your printing needs, as well as quiet work areas and a video conference room for remote conferencing. Finally, a special service desk provides a diverse range of services, from picking up your dry cleaning and ordering flowers, to sending your mail and packages. If you would like more information, please give us a call. Or drop by for a cup of coffee.